S1242P 24-port PoE Ethernet switch is an unmanaged PoE switch designed to meet SMB, hotel and SOHO network needs. It offers superior performance, simple installation. Its salient features are the latest Ethernet power supply capacity with integrated high power PoE ports. 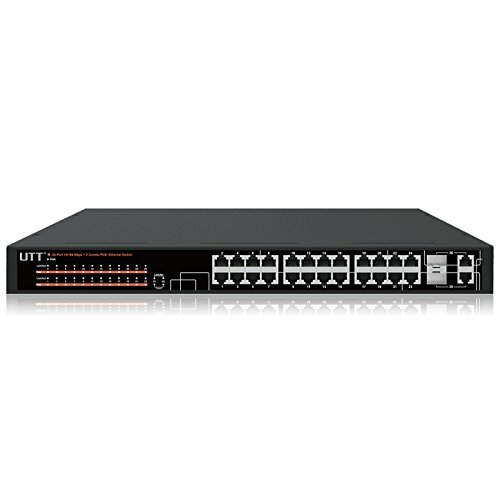 S1242P provides 24 10/100Mbps PoE ports and 2 10/100/1000Mbps uplink ports. If you have any questions about this product by UTT, contact us by completing and submitting the form below. If you are looking for a specif part number, please include it with your message.